Expert Physiotherapy treatment for sports injuries, neck problems, back pain, joints, muscle injuries, post-operative recovery, chronic pain and more. Clinical Pilates, Reformer & Mat Classes to get you the best results for a strong core, fast recovery or general fitness​. Expert one-on-one or group training with an Accredited Exercise Physiologist. ​Exercise for injury prevention and management of specific conditions. ​We specialise in therapeutic massage treatments to heal muscular injuries, accelerate your wellness and reduce stress. 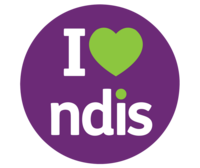 We're NDIS Registered & fully equipped to provide physiotherapy services & exercise rehabilitation programs for people with disability under the National Disability Insurance Scheme. ​Ready to get back to your healthy and pain-free life? Call 02 9567 9452 to start your Physio journey today! Have an annoying pain or injury that you don't quite understand? We go beyond the typical Physiotherapy Clinic. At Movement 101, we believe health is a full circle: it takes improving all aspects of your well-being to get you in the best shape of your life. Drawing from our personal experiences, we decided to create an environment where you have a health and wellness team centred around you, to address all of your needs and help you become the healthy person you were always meant to be. We empower you with education and support you with a community. We treat with heart. When you come to your first appointment, one of our expert physiotherapists will sit down with you and discuss your problem. An examination follows which may include physical, orthopaedic and physiotherapy tests to help locate your problem. Our examinations are thorough and will put you at ease. Your physiotherapist will first discuss and then commence a recommended treatment plan. We want to make sure you get out of pain and stay that way for the longest time possible, and we’ll give you the best treatment plan we feel will do that. You are an individual – and so is your treatment plan and the way we approach it. Our physiotherapists have expert knowledge in how to diagnose and treat musculoskeletal issues ranging from sports injuries, neck problems, back pain, joint and muscle injuries, chronic pain, arthritis, etc. Our team of healthcare experts can assist you in resuming or maintaining an active and independent life at home, at work, and in sports. Our Physios are experts, and we'd love to help you learn how to control your injuries rather than be controlled by them. We know you want to return to the activities, sports, career and life you love as soon as possible. After your first session, your treatment plan will be custom designed by our team of expert physiotherapists and exercise physiologists. The benefits of using physiotherapy services are numerous. Depending on your personal needs and goals, the benefits of physiotherapy include pain management with reduced need for opioids, improved mobility and movement, avoiding surgery, quick recovery from injury or trauma, fall prevention, recovery from stroke or paralysis, improved balance and strength. If you’re an athlete, a sports physio can help you maximise your performance by strengthening specific parts of your body and using muscles in new and different ways. A physiotherapist can advise you about the benefits specific to your personal medical history and the need for you to leverage physiotherapy to be at your best. After your first session, your treatment plan will be custom designed by our team of expert physiotherapists and exercise physiologists. Your physiotherapy program is made to suit YOUR goals, to achieve the long-term sustainable results that you've always wanted. You should know and understand what is happening with your body. So your physiotherapist will empower you with the knowledge you'll need to feel well and stay well. We don't believe in rushing our physio appointments and we don't believe in treating more than 1 patient per time slot. Your physio will dedicate 100% of the appointment to you and only you. We've helped over 6000 people over the past years. Our experience includes working with elite European Footballers, Olympic swimmers, people with disability and we have many years of experience in hospitals and private clinics. We’re currently trusted by companies like Qantas, Woolworths and Amazon to assess and treat their employees. We boast of a multi-disciplinary team trained to provide expert care and quality treatment. Our services include but not limited to physiotherapy care, pilates, exercise physiology, and remedial massage therapy and are delivered by industry experts with years of experience in the industry. Our team has a 4.9 star google rating, and a 5 star whitecoat rating. We want to make this the best possible experience for you. We want you to get the most out of this – in the least time – for the absolute lowest cost.